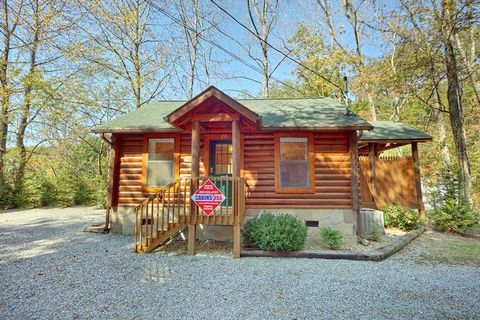 If you've been searching Smoky Mountains cabins for rent near Dollywood or 1 bedroom cabins throughout the Tennessee Smokies for an affordable romantic weekend getaway, our cabin rental "A Romantic Retreat" is the answer! 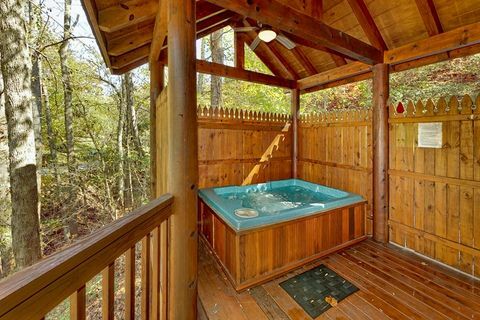 "A Romantic Retreat" waits in the woods, ready to provide a charming atmosphere for your honeymoon or anniversary escape to the beautiful Smoky Mountains area. 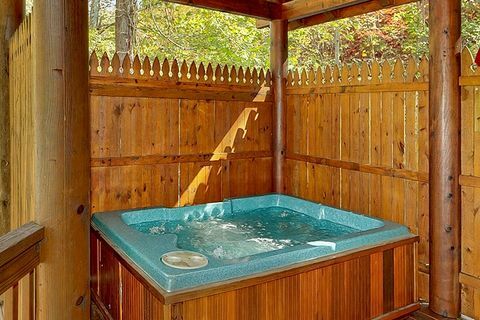 Relax outside, listening to the charming sounds of nature, in the large private hot tub. Grill hamburgers or steaks on the charcoal grill. 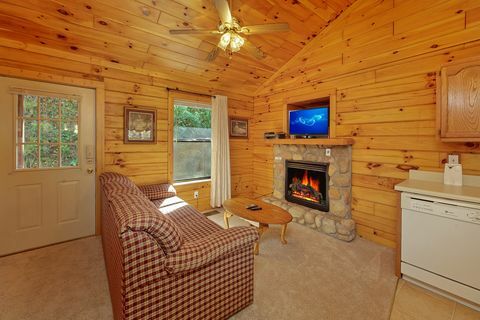 Nuzzle up together with two mugs of hot cocoa in front of the gas log fireplace in the cozy living room. Treat the one you love to a delectable multi-course meal prepared in the well-resourced kitchen. 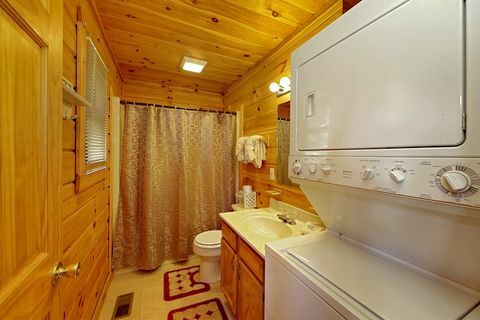 At the end of a day of relaxing with the one you love, the two of you can crawl into the bedroom's large king-size bed. Planning a family reunion or large group vacation? 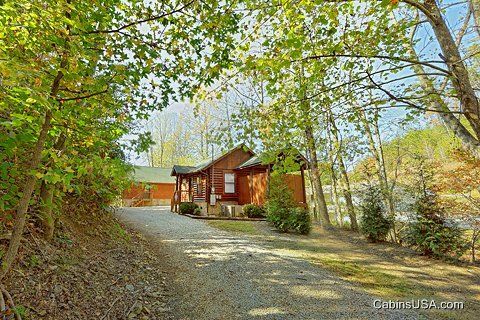 "A Romantic Retreat" is within walking distance of "A Peaceful Getaway," "A Smoky Hideaway," and "A Mountain Escape," creating the ideal grouping of Smoky Mountains cabins for rent for your gathering. 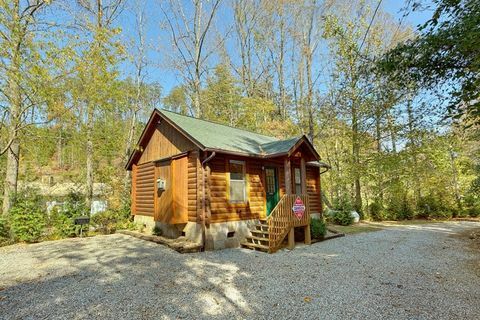 For larger groups, just up the hill are "A Hilltop Heaven" and "A Mountain Escape," adding even more affordable cabin rental accommodations for your group's stay in the Smoky Mountains. 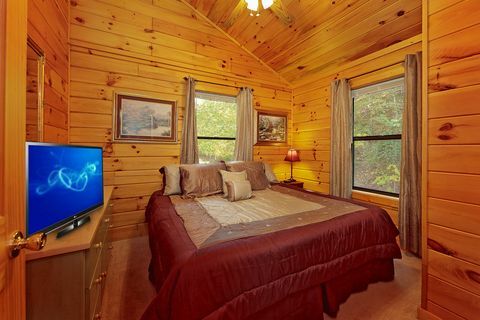 Surprise your sweetheart with a romantic escape to the Smoky Mountains at "A Romantic Retreat!" 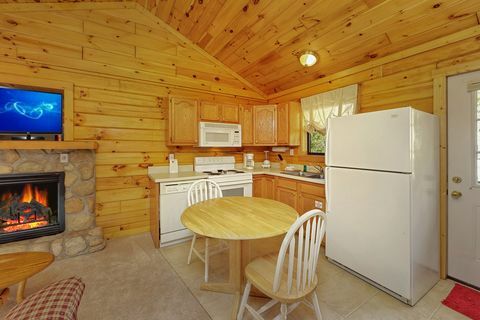 BOOK any of our Smoky Mountains cabins for rent ONLINE and get immediate SAVINGS!